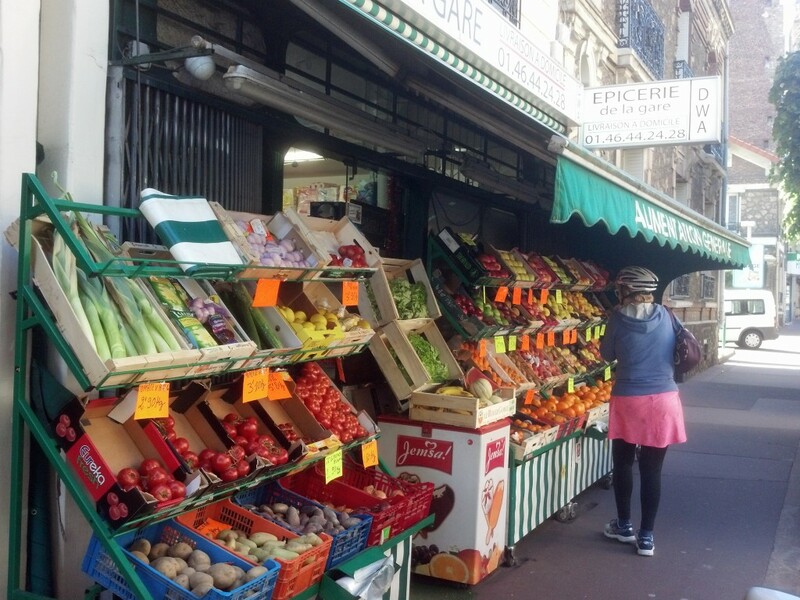 Cycling through Paris – Mon Dieu! 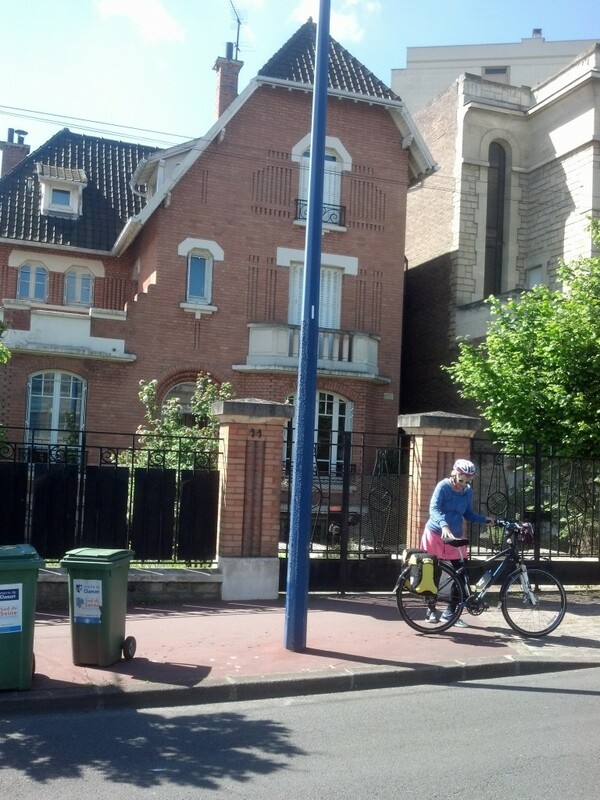 From the Avenue Verte Cycling Trail, we made our way to Clamart, a suburb of Paris and the location of the “villa” that my father rented while he was stationed with MAAG in Paris. I recognized the house at once but was unable to reach anyone inside. It did appear empty and unused but at least it was still there. 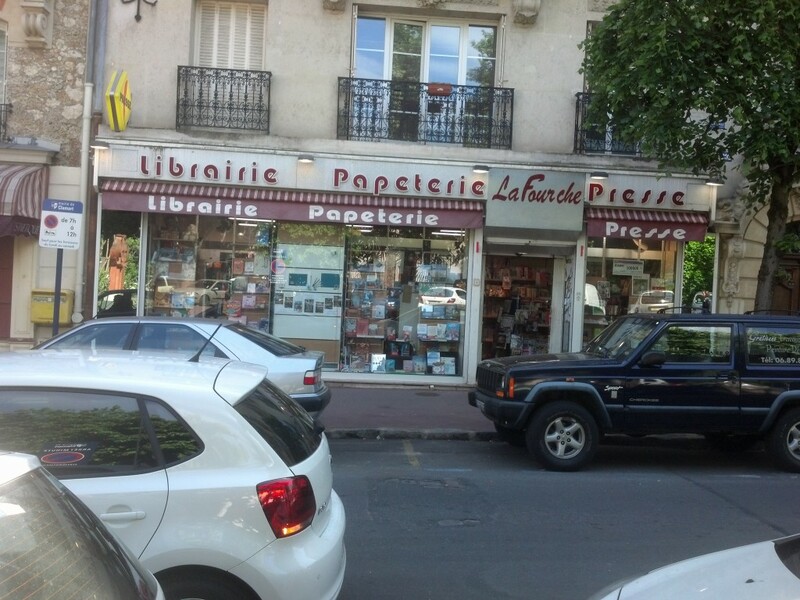 We continued to the main street of the little town of Clamart and I visited the stationery store and the grocer, under different ownership, bien sur, but still there. 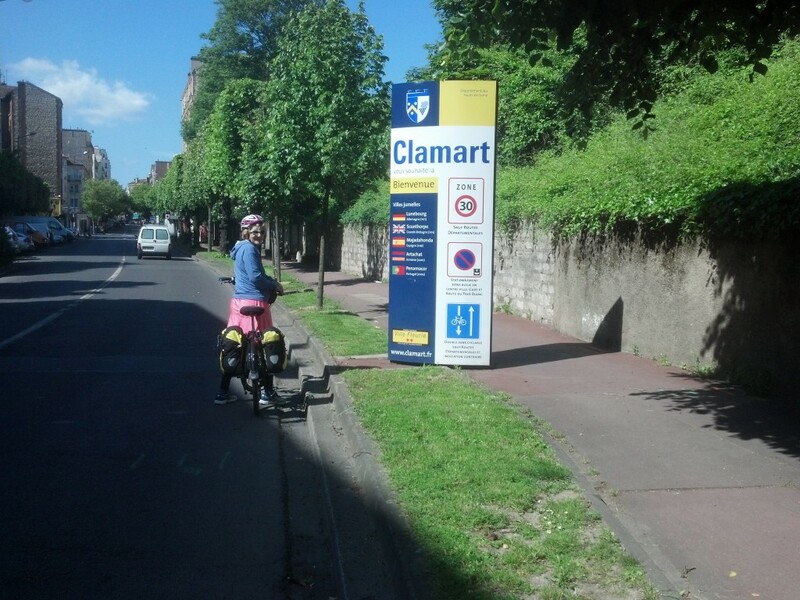 From Clamart we cycled into Paris on muti-laned boulevards and avenues in crazy French traffic. We lucked out as we met up with a group of about 12 British gentlemen all in the same color jersey who had just finished a cycle tour of France and were headed to the same train station as us. 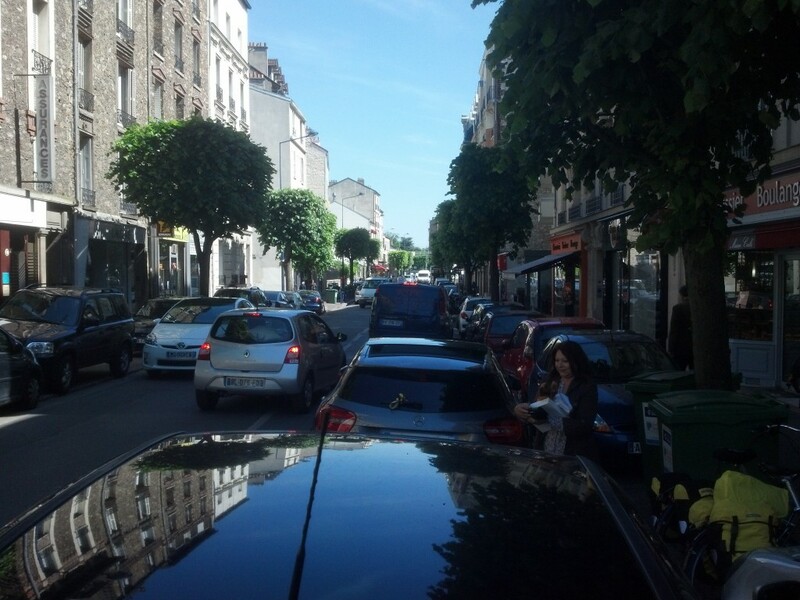 We joined the “pack” and arrived safely at the Gare de L’Est, narrowly missing being hit by two impatient French drivers.